According to a report from Net Applications, Windows 8.x crossed the 10% milestone in December 2013. Windows 8 and Windows 8.1 ended the year with 6.89% and 3.60% each, making a combines 10.49% total market share. In the same month Windows 7 gained 0.88% market share, while ageing Windows XP fell beneath the 30% mark, dropping by 2.24% to 28.98%. 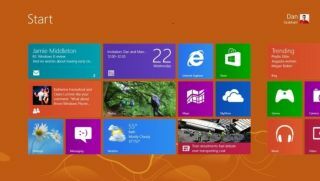 Unlike November, Windows 7 did not gain more share than Windows 8 and Windows 8.1 combined, but it is still showing signs of growth. As the end of Windows XP approaches, the figures will be heartening to Microsoft, showing enterprise adoption of its newer operating systems. Windows XP's market share is down a quite staggering 40% from the same time a year ago. It is likely that the figures from last month will still be some way from what Microsoft wants to see so close to the end-of-life of its geriatric OS. Windows 8 gained 0.23% market share in December, which is surprising as Windows 8.1, a free upgrade to the operating system, is generally available. Windows 8.1 did gain 0.96% in December however, showing it is being picked up. Windows 8 had its best month in August 2013 when it gained 2%, and it's worse in November. In 2013, Windows lost share in every month except for March, July and November. In December it slipped 0.15% from 90.88% to 90.73%. The numbers speak of the challenge that Microsoft is facing to try to move users to its latest versions. Windows 7 is still in demand due to the relatively radical change that Windows 8 and Windows 8.1 represent for businesses and users. Net Applications uses data from 160 million unique visitors each month by monitoring 40,000 websites for clients.